This year is a part of Zayed celebration, so the Dubai Health Authority (DHA) will decide to issue 100 health insurance cards between the expats with financial limitations as part of every year. These cards called Zayed Health Insurance Card, will be part of the Essential Benefits Package (EBP) and have a maximum limit of Dh 150,000 per person. This card will be valid for the year. The Director-General of the DHA Humaid Al Qutami declared the opening ceremony which held to two-time visit and all the activities organized by DHA during the year of Zayed. This year mark as the year of Zayed for 100 years the birth of the Late Sheikh Zayed bin Sultan Al Nahyan and the UAE has devoted it to celebrate his birthright. "This year, we organized a series of initiatives to mark the Year of Zayed. The UAE is known globally for its philanthropic work and we will continue our humanitarian initiatives to the best of our ability." Al Qutami stated. 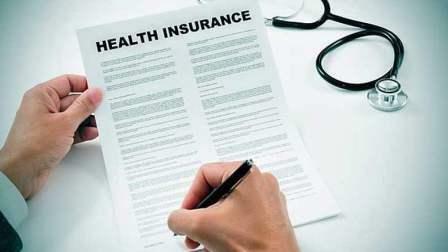 Advisor at the DHA’s Health Insurance Corporation, Saleh Al Hashmi said that 100 people who will get the health insurance cards given have already been decided. "This is an ongoing initiative and we will keep electing people based on their financial needs after assessing them," he stated at the launch time that these cards will cover the health costs of, for example, who have big families and who have no ability to support their family properly. He stated: "If the same people require financial help next year, we will not stop the cards, else others will be selected." The costs are between DH650 to Dh725 per annum, this amount will cover all the emergencies, maternity issues surgeries, cancer treatment etc. with the 20 percent co-payment. These cards have been supported by the 12 insurance companies that are listed with DHA under the EBP as part of their CSR activities. Al Hashmi said: "For this year, one insurance company has sponsored all the 100 cards, so the remaining funds are being utilized to help other people selected through the Community Development Authority (CDA)," he added and set the criteria. The Chairman of the Zayed team, Khalid Al Jallaf said, as part of the Year of Zayed initiatives, more than 200 children with inherited heart problems recover with the facility of free surgery through the Nabadat Programmed. Nabadat, which means heartbeat in Arabic, is a programme launched by the Mohammed bin Rashid Charity and Humanitarian Establishment (MBRCHE) in collaboration with the DHA to alleviate the suffering of impoverished children with congenital heart disease (CHD). CHD is a common type of birth defect where malformations occur to the structure of the heart. The wits are under the support of the Muhammad Bin Rashid Al Maktoum Global initiatives. The free medical services, lifesaving surgeries and post-surgical care to kids, whose parents can’t afford the amount and expense of the treatment of CHDs. It provides more than 100 children heart surgeries in Mumbai this year in July. With the help of the cardiology team at Fortis Hospital, Mulund and S.L Raheja. This year in September, the cardiology team of the DHA with Kafr el-Sheikh University Hospital in Egypt and provided more than 100 free heart surgeries. Additionally, the Nabadat cardiac team also conducted free pediatric cardiac check-ups to screen as many children as possible. In additionally he said, the Nabadat cardiac team also conducted free pediatric cardiac check-ups to screen as many children as possible, recognize "remarkable talent" in the country in the medical field. Al Jallaf stated: "The DHA will publish the top three research papers and distribute them to medical academies, libraries, and institutions." The employees of DHA serves the people and have a check n balance about food and cleaning. Q-What will the insurance cover? A-The Year of Zayed Health Insurance Card will have a maximum limit of Dh150,000 per person and be valid for a year. It will offer essential benefits and cover emergency costs, maternity issues, surgeries, cancer treatment, etc. Hundred eligible residents have already been selected for next year. It is based on an applicant's financial needs. Q-How does one apply for the card? Those needing the card can approach the DHA's Health Funding Department. He/she will be selected as per set criteria. Q-Who has sponsored the cards? One insurance company sponsored all 100 cards this year. It is an ongoing initiative that will be sponsored by 12 insurance firms.